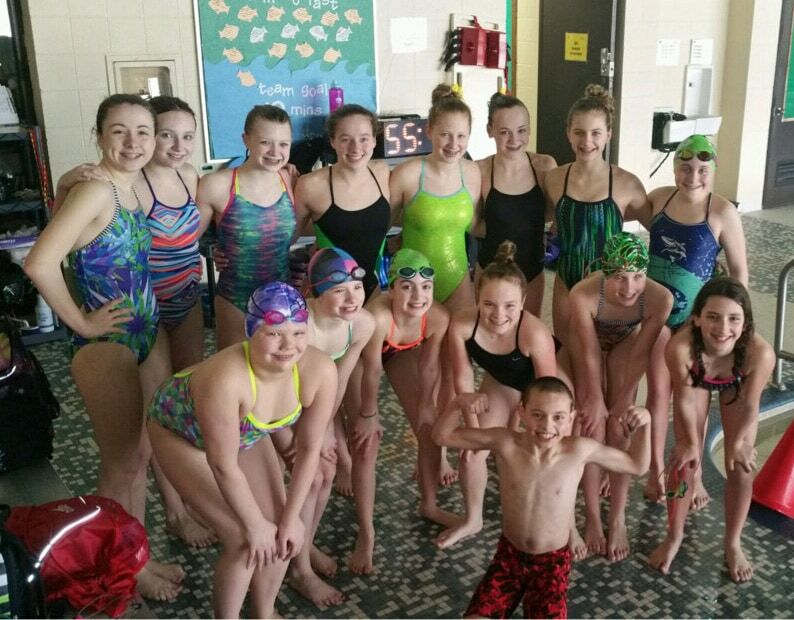 BUCYRUS — Sixteen swimmers from the Bucyrus YMCA White Sharks swim team took to the pool at Bowling Green State University to compete against athletes from Ohio, Indiana, Kentucky, Michigan and West Virginia this weekend. The competition began Friday and lasted through Sunday evening. Head Coach Nate Parsons and assistant coach Deanna Durham led the team throughout the competition. Swimmers competing in individual events include: Matthew Bloom (Boys 10 and Under 50 backstroke); Katie Hanft (Girls 11-12 200 Free, Girls 11-12 50 Free, Girls 11-12 100 Free); Emma Montgomery (Girls 10 & Under 50 Back, 100 Individual Medley, 50 Free, 100 Free, 50 Fly and 50 Breast); Ashtyn Rickel (Girls 10 & Under 200 Free and 50 Breast); Miranda Stone (Girls 10 & Under 200 Free, 100 Individual Medley, 50 Free, 100 Free, 50 Fly and 50 Breast); Cassidy Vogt (Girls 13-14 100 Free and 50 Free); McKena Ward (Girls 10 & Under 200 Free and 50 Breast). Swimmers competing in relay events include: Cecelia Chase, Natalie Hankins, Izzy Roston and Rachel Teynor (Girls 10 & Under 200 Free Relay); Emma Montgomery, Ashtyn Rickel, Miranda Stone and McKena Ward (Girls 10 & Under 200 Free Relay and 200 Medley Relay); Emily Hanft, Sarah Scott, Cassidy Vogt and Jayden Ward (Girls 13-14 200 Free Relay); Emily Hanft, Morgan Young, Cassidy Vogt and Emma Swisher (Girls 13-14 200 Medley Relay).